The Root of It Commentary: The Un-Seen Deadly Liability! Product Review: Advance CAM-USB Direct! The Dentrix Office Manager Blog:Success with your dental software implementation and training! Dentistry Beyond the Mouth: My View, Take Time to Listen! The Disney Magic of Management: Insights from the Mouse!Want Greater Employee Engagement…Be, “of the people.”! This Week in Dentistry: Land’s End Teaches Dentists about “Branding”! The Henry Schein Outlet Store: Midmark Unit Mt. Light! There are many liabilities you face when running a business and a dental practice is a business. Employees are not liabilities, they are investments. Sometimes they are good investments and sometimes not so good, but they are not liabilities. Outside of clinical liabilities that arise every now and then, where are the un-seen dangers? Let’s start with contractors and suppliers. When contracting a plumber, electrician, service tech or anyone that preforms a service in your office, make sure they are licensed and insured. You need to receive a written invoice and your payment needs to be made to a company. If you make the check out to an individual, you will need to supply an IRS form #1099. Also, if anyone gets injured due to faulty contracting, you have no defense, the work was done by an un-licensed individual and that makes it your fault. Second are your suppliers. Office supplies are often ordered on line or from a catalog. If the supplier does not collect tax sales tax for your state, you are responsible for the “USE Tax”. By law you are required to send the appropriate tax to the state along with your estimated quarterly tax. That also holds true for clinical supplies, however, every state has a different idea of what items are taxable. It is best to consult your tax advisor for more details. The interest and penalties can be very big. USB Direct System —- $600.00! My View: Taking the time to listen! 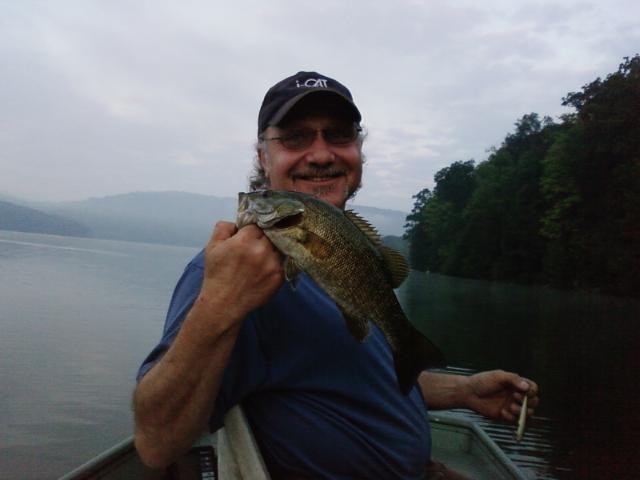 by Dr. Quarnstrom – Bill came to the office for his six-month recall appointment. He had recently retired and lost his dental insurance. He has been a patient for about 20 years. We chatted for a few minutes about his retirement and his concern over the cost of his continued care in the future. I mentioned that as a veteran he was eligible to get his dentistry done at the Veteran’s Administration hospital three blocks away. The veteran told me this story. “About 10 years ago, I was at work. I operate cranes and sit about 100 feet above ground in the control cab. It was a windy day and the cab was swaying and bouncing. The loads were close to impossible to control. I had only had about two hours of sleep the night before due to the recurrent nightmares I have reliving my Vietnam combat experiences. These memories had prevented me from getting a good night’s sleep for weeks. “I told my boss I had a dental appointment. I had chipped a tooth a couple of days ago and I needed to get off the tower. Your office got me in that afternoon. I told you that I thought I might be going crazy. I went on to tell you about my ongoing hallucinations reliving my Vietnam experiences. At the time, I really thought I was losing it. The small tooth chip was the least of my problems. Success with your dental software implementation and training! 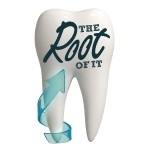 Dental Software Advisor’s podcast series focuses on software technology topics relevant to dental users. In this interview with Dayna Johnson of Rae Dental Management, a longtime industry implementation and training expert, we have a frank discussion of software implementation ands how to build acceptance and increase rewards for using appropriate technology. One of the key topics during software implementation is to identify fears around software implementation and work to figure out what can be shifted to improve efficiency and reduce frustration. Solutions come from incorporating many different strategies. For any dental practice implementing new technology, this discussion will cover common issues, frequent mistakes, and how to make the process easier and more complete. Efficiency, consistency and protection are the mantra Dayna Johnson uses for successful software implementations. Want Greater Employee Engagement…Be, “of the people.”! This opportunity is expressed in a recent article in Harvard Business Review. We agree with the authors; it is important to focus on acts and activities.We have found that it is often easier to act oneself into new ways of thinking than to think oneself into new ways of acting. So, we will focus on one key action that we see deliver high levels of engagement at Disney. Reinforcing your practice’s brand can help build trust, familiarity and widespread recognition of your dental practice in your community, according to Lands’ End, the apparel company endorsed by ADA Business Resources. • Network in your own backyard: Get to know your neighbors and the professionals in your own community. It’s important to be involved with your local Chamber of Commerce and be on the lookout for other business and professional organizations in your area. Many are geared to providing referrals these days. • Wear your practice’s logo outside the practice: Offering your staff apparel with your practice’s logo helps everyone feel proud to work in your practice, and wearing the apparel in off hours helps reinforce that image. Create a work “uniform” that suits your professional image, and add a few styles you’d enjoy wearing after work. Take a walk at noon, pick up the kids at school, and chat with the delivery team. There are many “off duty” opportunities to increase your profile. • Get involved in the community: Sponsor local events ranging from a youth group’s car wash fundraiser to the city’s annual charity race. You’ll meet a lot of people who may just become new patients.